Buy 6 or more Waged tickets to one show in one order, click to apply discount, and pay $30 each. iTICKET vouchers can be used for Complimentary tickets for the Cast and Crew for 1-5 May shows only. Select your tickets then enter your Voucher information in the provided fields. iTICKET vouchers can be used for Complimentary tickets for the Gala show only. Select your tickets then enter your Voucher information in the provided fields. iTICKET vouchers are valid for Complimentary tickets for the whole season. Select your tickets then enter your Voucher information in the provided fields. 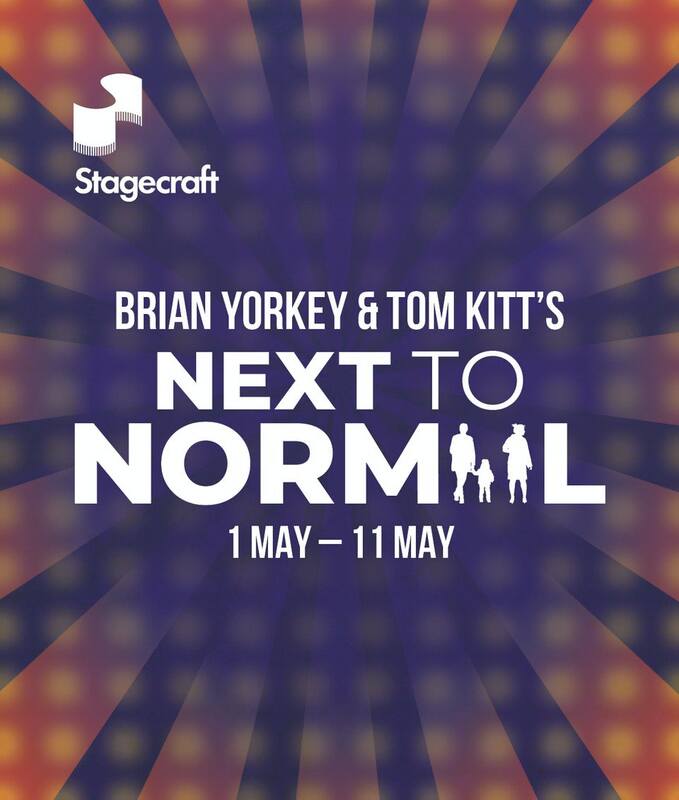 A Pulitzer Prize winning rock musical which broke the mould of musicals in its portrayal of mental illness, Next to Normal explores how a small suburban family faces trauma and deals with a family member's bipolar disorder, and looks at the personal pain inflicted by the disease and the consequences it has on a fractured family who are confronted by their own mental wellbeing. This play deals with some issues around mental health and distress. Some content and scenes may be disturbing. PLEASE NOTE: Due to disruptions, latecomers will not be admitted to theatre. Please ensure you have exchanged your ticket for an entry voucher at least 15 minutes prior to show start time. Thank you.